Our taster session for those who want the basics. Learn how to forage for flammable materials and build a fire from scratch. 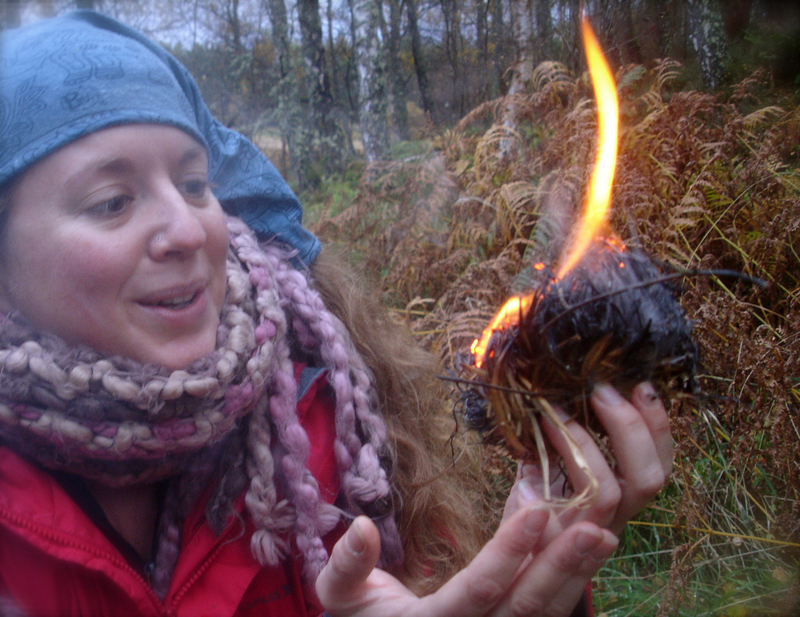 You will learn about tools used in firemaking, as well as how to create and keep fire. 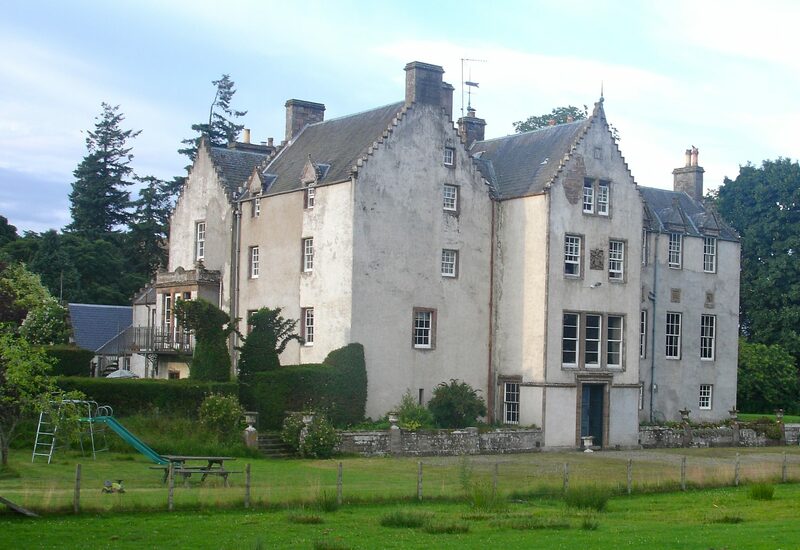 We are based on Bamff Estate, by Alyth in beautiful Perthshire, blessed with lovely holiday accommodation right onsite. 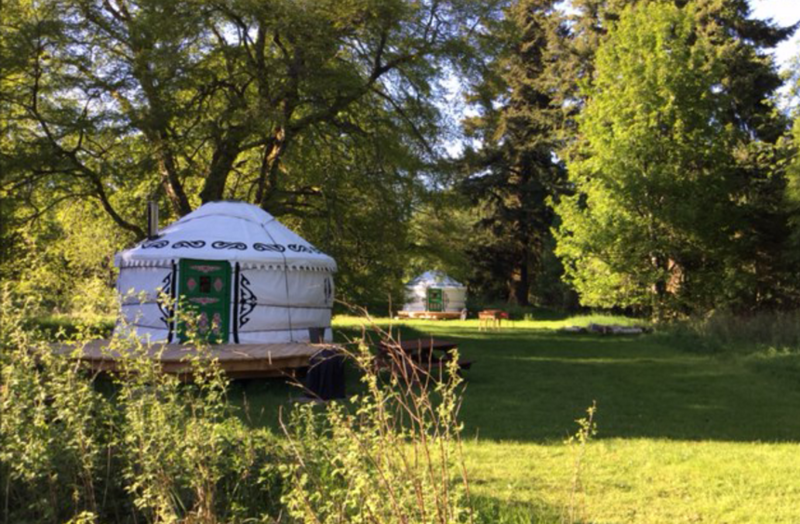 Guests can stay on-site in a luxury yurt, cottage or camp using your own tent, while partaking in our courses, so they have a truly immersive experience. Food is not included in the courses as we all like different things but it is an integral part of any Five Senses experience: taste is equally important to all other sensations. Self-catering is available to those staying with us at Bamff, and there are shops, pubs, a bakery and cafes in Alyth, nearby. In season there is lots to forage too. We recommend bringing a extra picnic lunch or dinner to enjoy after your course, or grab a take-away. Do I need experience of the outdoors? Will there be other people there? You will only share a course with strangers if you wish to. 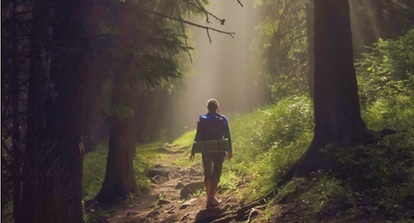 You learn best when you are having fun and for many people being in the outdoors can be stressful, or a discomfort can be a distraction to learning. So, our courses are different: You will be in your own little group or alone and be warm and comfortable. You will also get high quality tuition in a relaxed atmosphere. 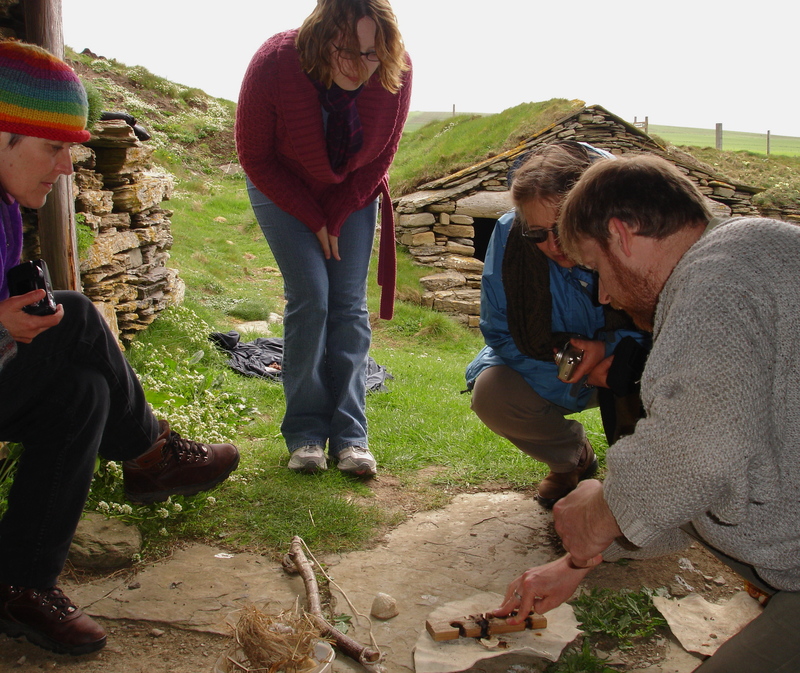 We don’t just use our eyes and ears to learn the ancient skills or to experience the landscape, we immerse ourself in it and discover through tasting, feeling and smelling too – if you can. By enlisting all the power of your senses, you learn deeply and gain a profound connection with nature, the history of human fire making and thus your entire world. This approach makes our courses ideal for those who who have limited abilities, which is all of us. See the Bamff Estate website www.bamff.co.uk for directions. Malcolm you are a talented person with such a special gift to see the world in all its wonder and be amazed. Thanks for sharing it. Rachel, thanks too, for sharing your smile, warmth and sincerity. Planting a naked foot on a board, Malcolm used a bow and hazel ‘drill’ to create flame. Even in these hi-tech days fire still has a magical power to thrill. These are experiences the children will never forget. Science is all about seeing, enjoying, discovering, trying things out – and, sometimes, being so enthralled by a moment that it changes the way someone thinks for ever. Thank you for an absolutely brilliant evening yesterday – Ellie hasn’t stopped talking about it since. We have tonight made fire and even demonstrated it to someone else.